*This property does have an attached apartment with a long term tenant with a dog. 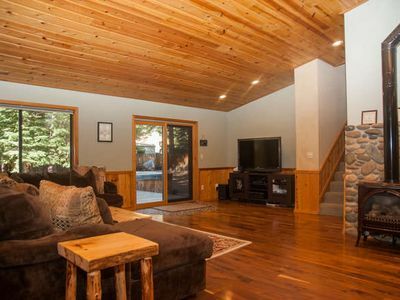 Conveniently located and newly updated - the Squaw Hopper home is the perfect Tahoe getaway for friends and family. 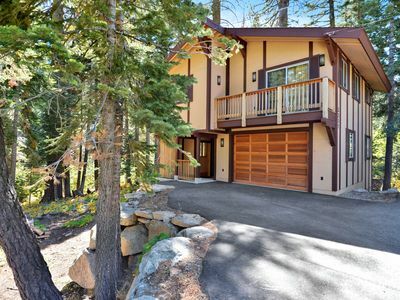 The location is half way up the access road to Squaw Valley, which allows for partial mountain views throughout the home. Whether you are looking to ski, snowshoe, cross country ski or head up to the Village for some shopping or dining - you are only minutes away. 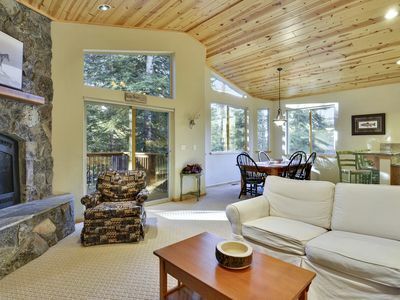 This property is a great comfortable and up-to-date home with all brand new beds.During the summer months you are a bout a 15 minute drive to the lake and just moments from some amazing hiking and outdoor activities. When you walk into the property from either the garage or the front door you are greeted with a small mud room with a bench and small storage area. This compliments the 2 car garage and storage for all of your larger outdoor items. Once in the main living space you are greeted with an open concept living/dining and kitchen area. 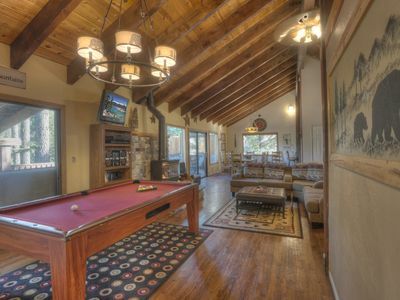 This open space is highlighted with the high exposed beam vaulted ceiling. 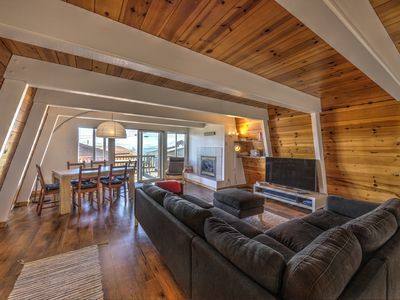 The living room is comfortably furnished with a sectional couch and through the front window you can sneak a peek at Squaw Valley. There is also a wood burning stove to add to the cozy feeling of the home. The dining space has a table for six and is adjacent to the breakfast bar for three. From this dining/kitchen area you can access the back yard. The kitchen is equipped with all up-to-date appliances and has the open concept to allow for socializing while in the kitchen. The bedroom area is located on the second level of the split story design. There is a nicely constructed bathroom for two of the bedrooms to share. Both of the bedrooms are equal in size and are furnished with new king beds. One of the rooms is equipped with a flat screen TV as well. 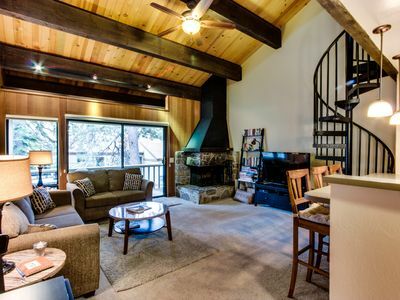 The master bedroom is located in the same area and has some nice partial mountain views. The master also has a flat screen TV as well as an en suite bathroom with double vanities. The sleeping areas are all designed with comfort in mind. 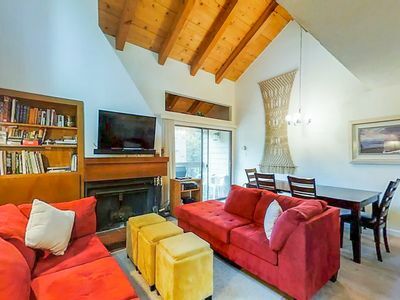 This property is great in both design and location. 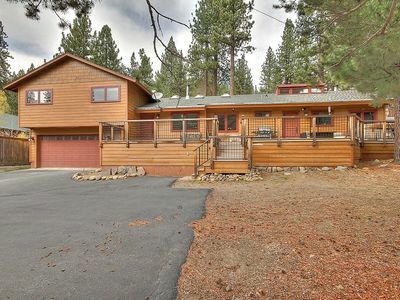 The large front deck area is perfect for a summertime BBQ while taking in mountain views and the location is just minutes from hiking and mountain biking. 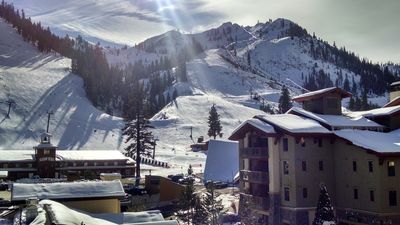 The location for the winter months can't be beat - you are just minutes from the lifts and the amenities at the Village at Squaw. 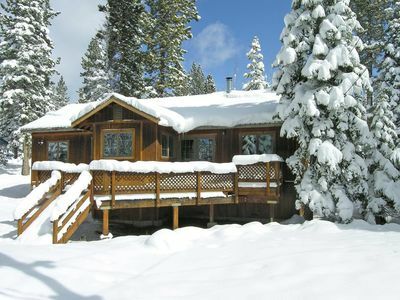 The Squaw location in general is a great location for North Lake Tahoe. 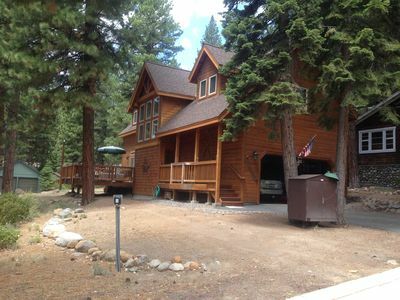 The location is mid-way between Tahoe City and Truckee. 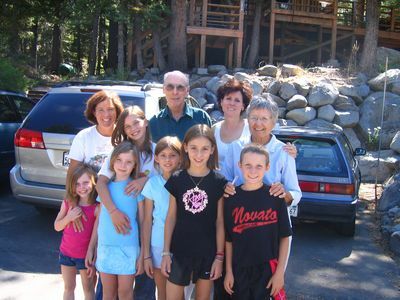 Downtown Truckee is a great place for shopping, dining and taking in some history, as well as convenient to the freeway. 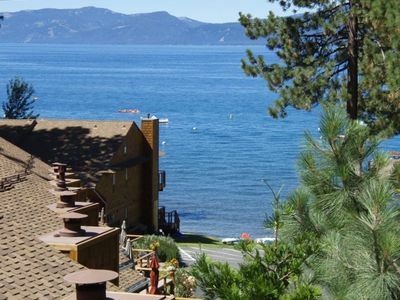 Tahoe City has some of the same advantages, but also the benefit of enjoying beautiful Lake Tahoe. *This property does have an attached apartment with a long term tenant. 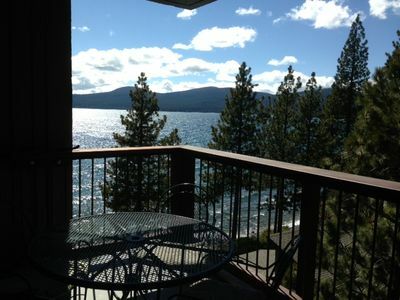 Awesome Views from This Spacious Lake-Side Condominium! 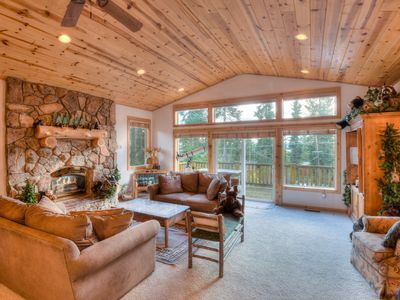 Beautiful Mountain Home with Fantastic Kitchen and Tree-Top Views! 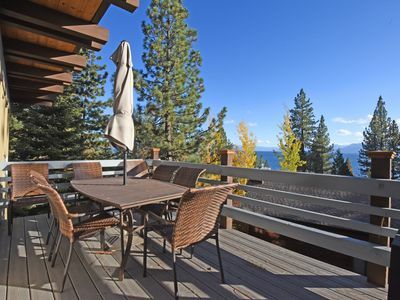 Upscale Vacation Home Near Lake Tahoe Beaches and Northstar! 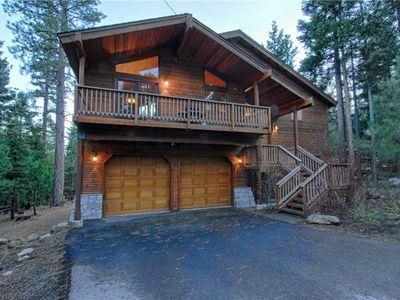 In Alpine Meadows and minutes from Squaw! Shuttle to entrance! Fun Apres Ski!